Being a part of the Zelda fan community, it seems that there’s no end to the ideas some people come up with in terms of merchandising. 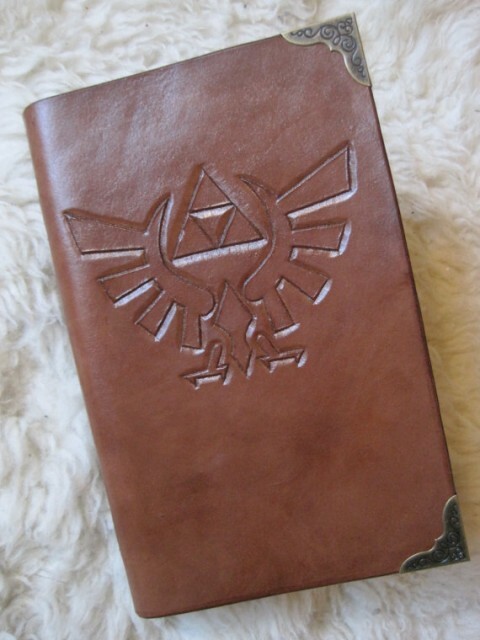 Despite the fact that you do get the occasional up-scaled item being sold for three times its actual value just because it has a Triforce sticker on it, many Zelda fan-made items are actually deserving of their price tag due to the effort and dedication of fans who go to great lengths to add to the ever-growing market of fan-made items based on video games. 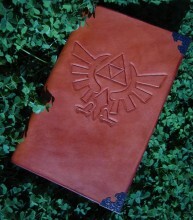 One fan, Justin Bolt, is the owner of JB Leather: a shop which produces handmade customised leather goods. 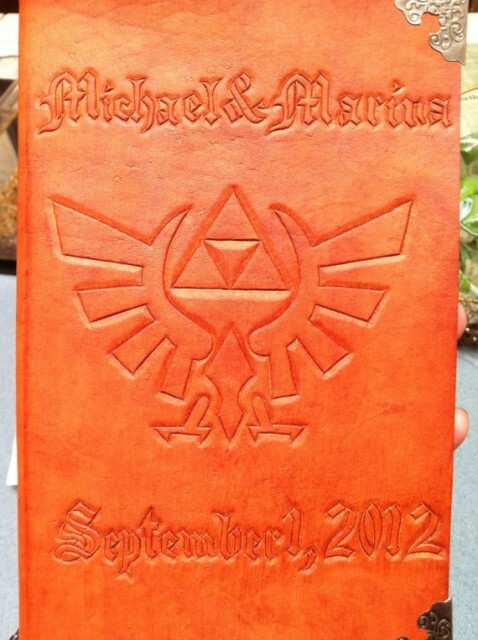 His most recent listing showcases an impressive fully customisable leather journal embossed with the crest of the Royal Family of Hyrule, available on his Etsy store. Hit the jump to take a look. As you can see, the journals come in a variety of different colors and with various customisable features. Here you can see examples of four colors the journals can come in (red, brown, orange, blue), but Justin says in the item description that he has other choices available also. Other customisation options include the style of the decorative metal corners featured on the front and back covers, and also text (such as names or dates, etc) embossing on the front cover, as you can see on the orange journal. 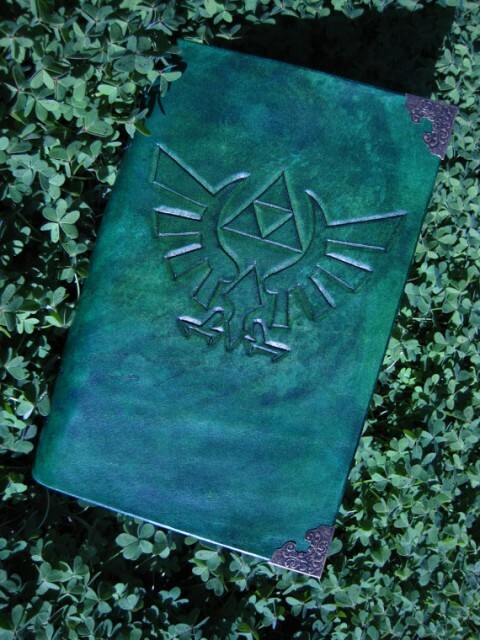 The journals themselves measure nine by five and three quarter inches (roughly the size of a standard paperback book) are hand-bound with 250 blank pages, perfect for cos-playing, or simply for taking down notes, or perhaps sketches, or ideas for your next Zelda themed fan-fic. The possibilities when pen is put to paper are endless. The journals cost $40 USD each with a $10 customisation fee. The prices may seem a little steep at first, but it’s simply a testament to the sheer quality and effort that goes into making each book. You can purchase the journal, along with Justin’s other products on his Etsy store here. But what do you think? Are you going to purchase a journal for your own? Or are you put off by the price? Tell us in the comments below!